A quiet revolution is taking hold in Greenville, SC, led by students at Clemson and Furman. Described by some as “A post recession ‘power to the people movement,” students are recognizing the gap between skills acquired at college and those needed by Google, Apple, Microsoft and other growing employers in the nation. The gap can be narrowed by hands-on and experiential learning opportunities. University Innovation Fellows have made it their mission to reach all students, across all majors, to join the movement. 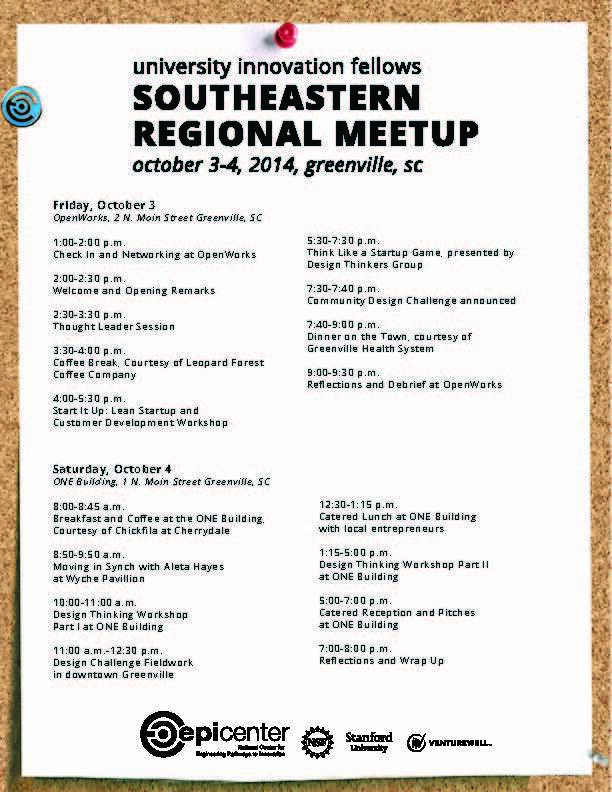 Join us at the Southeastern Regional Meetup on Friday, October 3 through Sunday, October 5. And remember Fellows: we have your hotel rooms covered! You just need to get yourself there. This event is hosted by the University Innovation Fellows in collaboration with Bre Przestrzelski of Clemson University and Ben Riddle of Furman University. Forty lucky Clemson and Furman students will join University Innovation Fellows from across the nation in a day and a half of play that will ignite Greenville and the surrounding community.Students will participate in design thinking and lean methods on real challenges in the surrounding ecosystem that inspire their passion. One lucky Clemson and Furman student who participates in the entire regional meetup will be invited to attend the University Innovation Fellows Annual Meetup at Google Headquarters and Stanford’s D.School in the Silicon Valley on February 19-22, 2014. 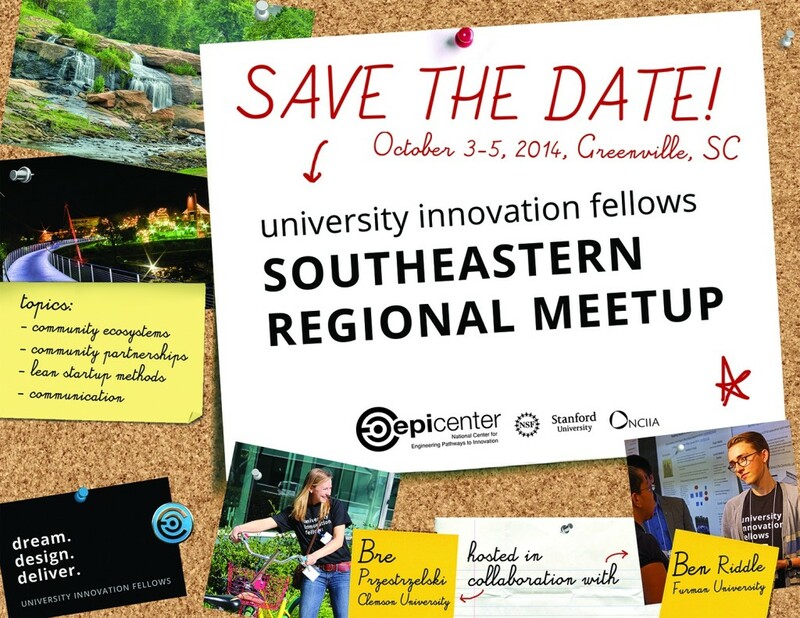 Fellows and invited guests: Register for the Southeastern Regional Meetup today!